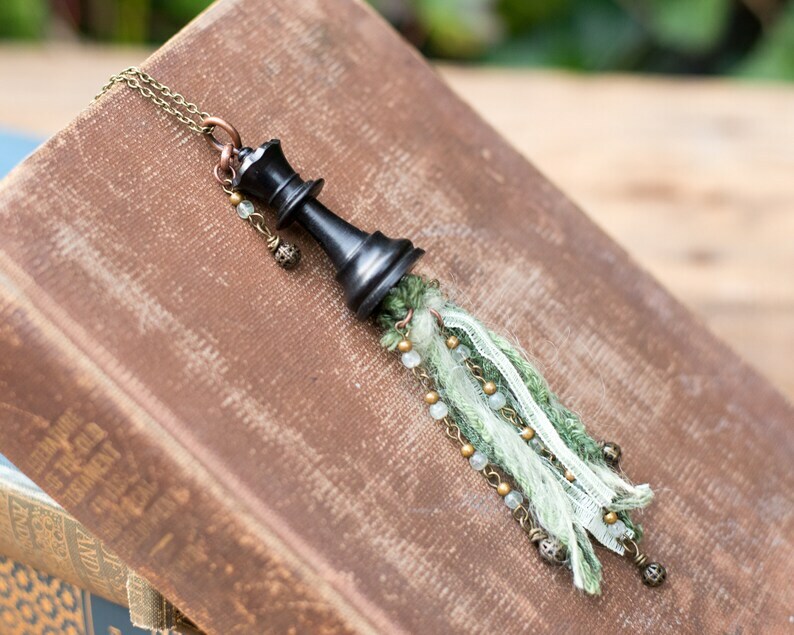 This upcycled vintage wood chess piece pendant necklace features a dark stained wood, queen chess piece. 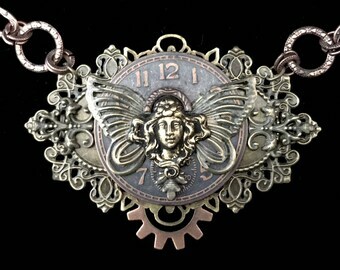 From the queen hangs vintage ribbons and fibers in shades of neural greens. 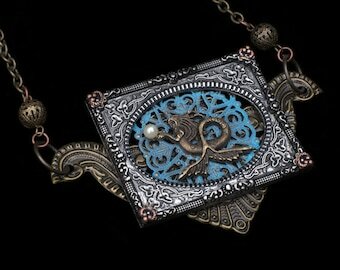 There are also glass beads and findings among the textured fiber. 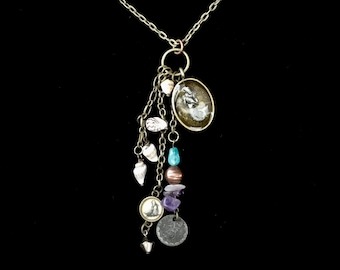 The wearable art necklace hangs super long at 24". So long there is no need for a clasp. Simply fit it over your head. 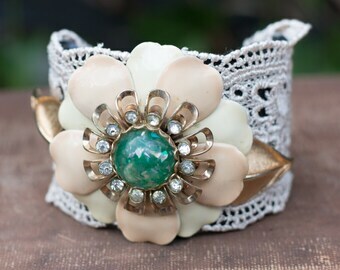 This boho jewelry piece would look stunning with an oversized sweater or a lace top. 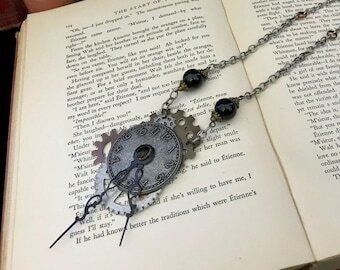 I simply love making art jewelry, wearable assemblage art. 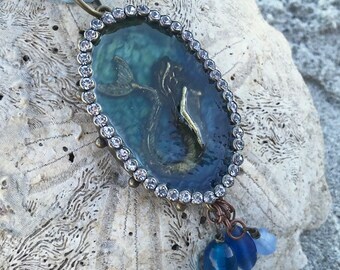 Not only do I save items from ending up in the land fills, but I give them new life as something beautiful and unique, like those that wear my pieces. 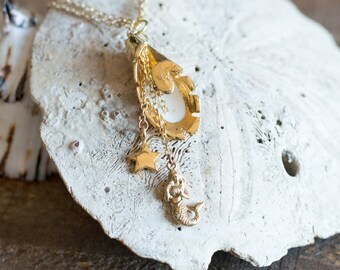 Recycled jewelry is the way to go if you are looking for a special gift for a special someone, and all of my jewelry is made in the USA and includes FREE standard domestic shipping!